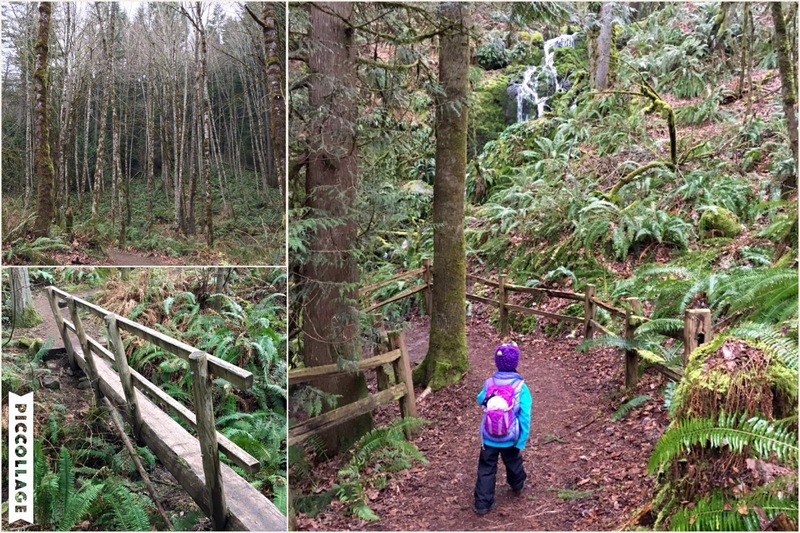 Little Hiking Buddy and I decided to change our Adventure Friday to Waterfall Wednesday this week. The weather forecast for Friday called for excessive amounts of wind and rain compared to today’s 20% chance of showers throughout the afternoon. Now that LHB was almost back to full health (and literally bouncing off the walls of our house), I opted to take our chances outdoors this morning on the mere possibility of precipitation. 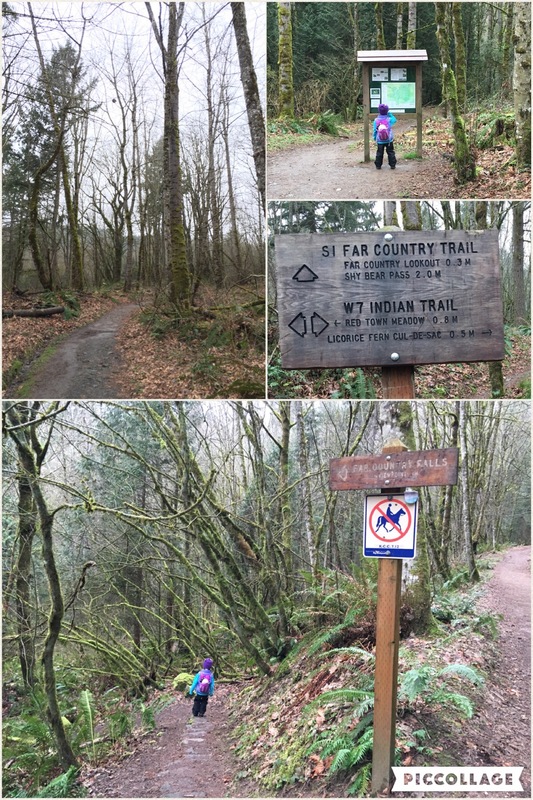 With a limited span of three hours, we kept close to home and explored Licorice Fern Trail at Cougar Mountain Regional Wildland Park. Soon after dropping Big Hiking Buddy off at school, LHB and I headed back the way we came. 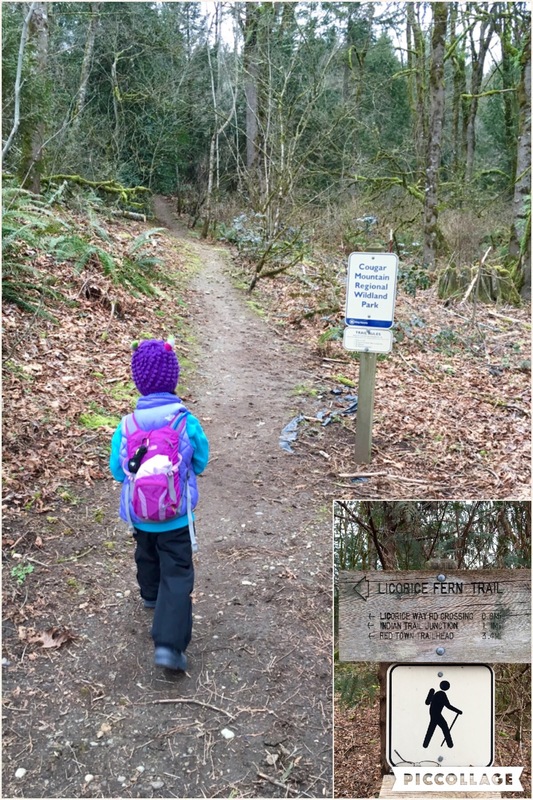 We quickly found the easement for the lower trailhead just off a neighborhood street along May Valley Road and were well on our way before 9 am. The trail began down a slope toward the valley floor, taking us across the creek, before leading us up the hillside and back down again several times. 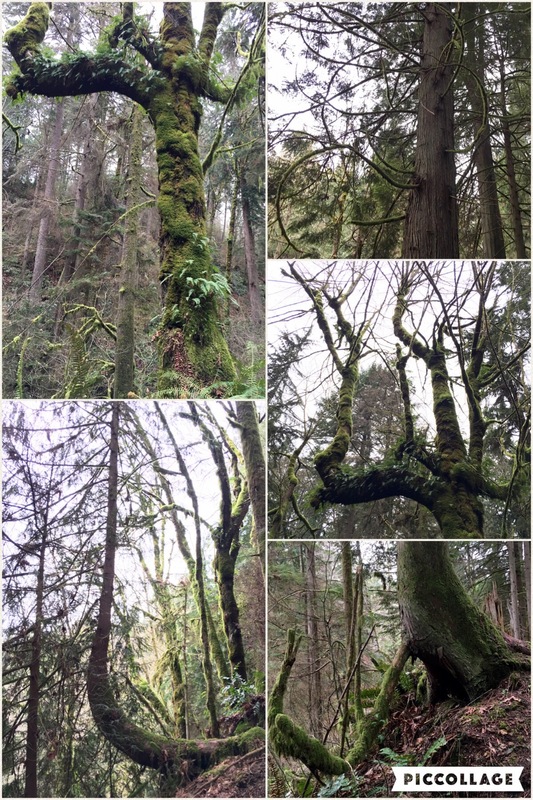 We followed the trail deep into the forest of old trees that varied in shape, size, texture and color, all of which outlined Cougar Mountain’s storied past. 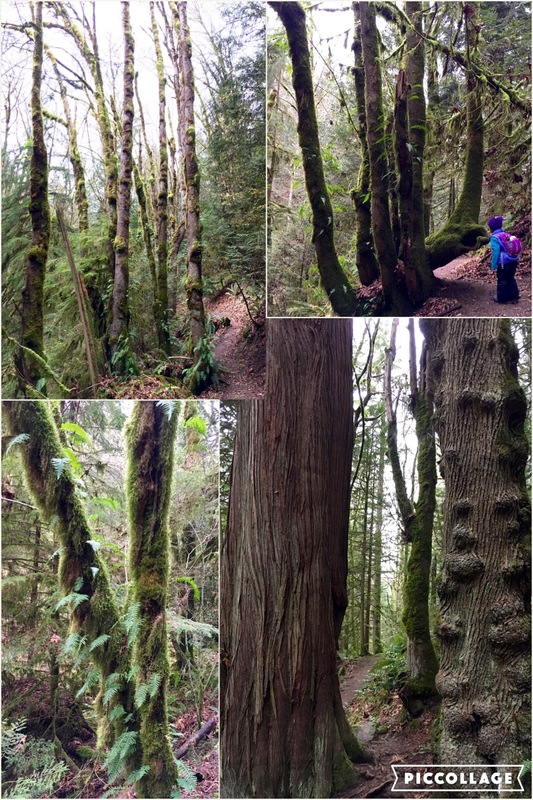 LHB loved the weaving in and out of knotty trunks, curvy branches and crooked roots, while pondering questions about where all the forest critters might be. After meandering a mile and a half along the trail, we came to a road intersecting our route. 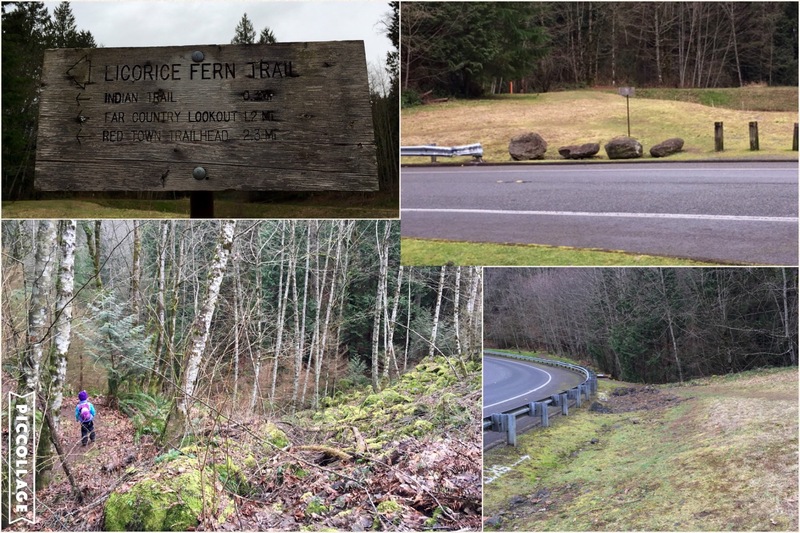 The street was actually the trail’s namesake, Licorice Fern Way, which ran clear up the mountainside. Once we crossed the road, we found ourselves trekking under a light drizzle through Trog Swamp and alongside Surprise Wall. 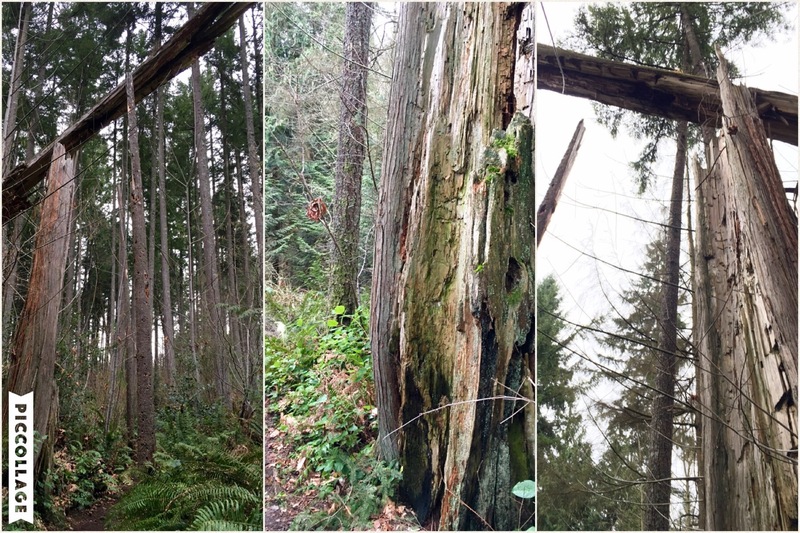 It didn’t take long before we came to a junction with Indian Bar Trail, which led us even closer to Far Country Falls. From there, it was a short quarter-mile jaunt to the lookout above. LHB and I decided instead to head to the base of the waterfalls in hope for forest cover to shield us from the rain. As expected, we could hear the cascading water long before seeing its beautiful flow. 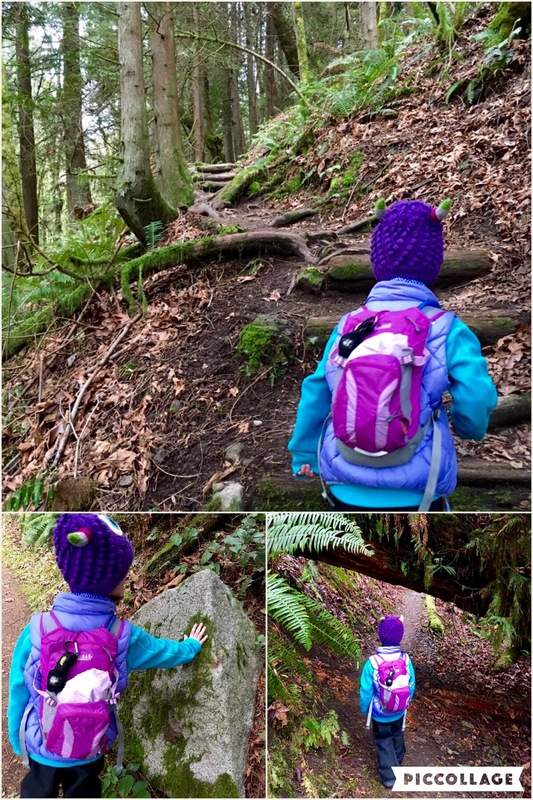 The anticipation was beyond exciting for LHB, so much so that she insisted I step up my pace as she hurried down the trail. Far Country Falls is a multi-tiered set of falls, each one flowing into another to create triumphant layers of spray throughout the steep ravine. While it may not be as sizable as Kamikaze or Bridal Veil Falls, Far Country Falls is still a display worthy of appreciation. 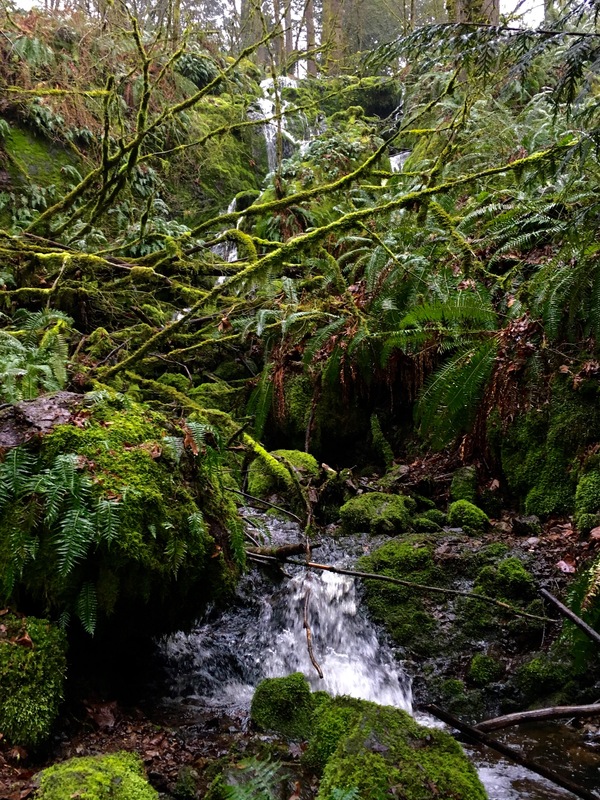 The shallow waters of the splash pool feed the lush creek bed, verdantly filled with fern, moss and lichen of every brilliant shade. 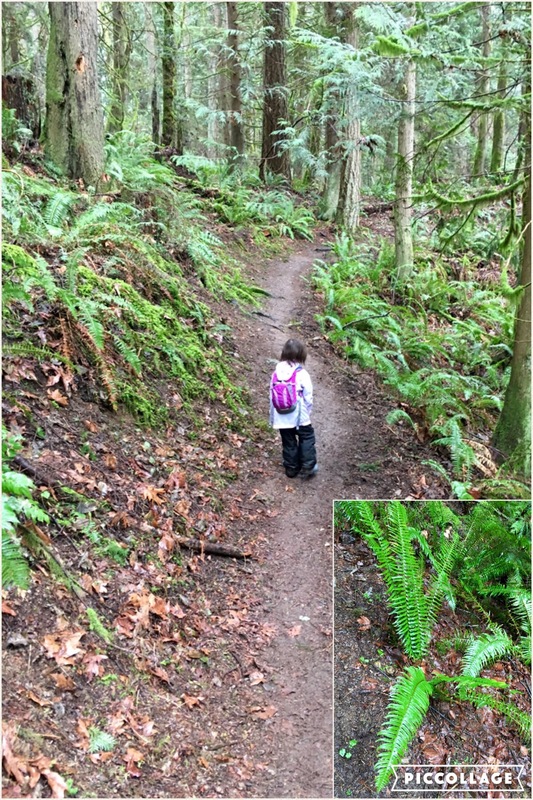 As such, this gentle trail was the perfect gift to our senses on this dreary winter day. With both our respiratory systems under attack, LHB in recovery and me refusing to surrender, we needed the fresh air and nature’s beauty to revive ourselves. LHB and I easily set up our picnic under the canopy of trees just beside the creek. 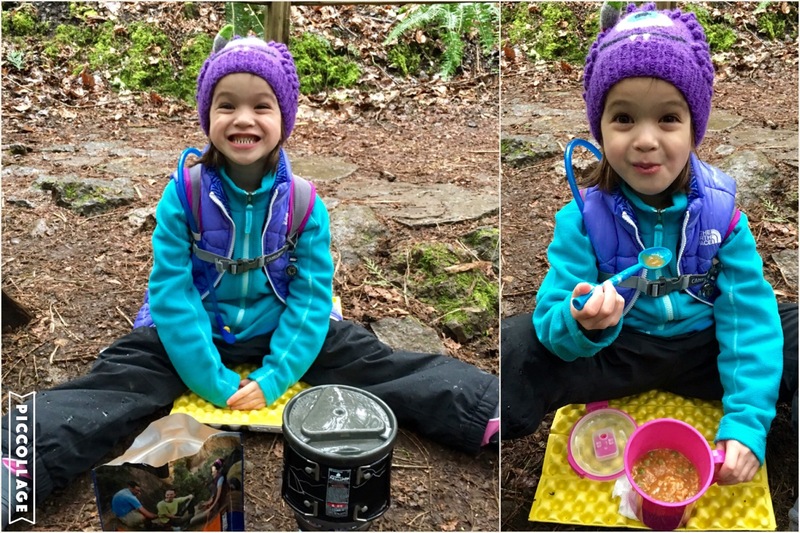 I’m not sure who was more excited when I pulled out the JetBoil – me or LHB – but she couldn’t wait for the warm food to fill her little tummy. I prepared us a surprisingly tasty chicken teriyaki MRE as well as LHB’s favorite akamiso soup, while she took in the blissful view of the Falls above us. We ate our hot meal with great enjoyment on this cold morning. Based on her impressively clean cup, I think Nutella sandwiches will have to wait until the summer to rejoin our picnic menu. As easy as it was to set up our little picnic, it was just as quick for us to pack it up. LHB was anxious to see her big sister (and best friend), so we quickly headed back the way we came. Unfortunately, the clouds opened up during our return trip – it’s a good thing we came prepared with rain gear, complete with waterproof boots and pants! With LHB getting her chance to jump in as many puddles as she could find, we both enjoyed the hike back to the car far more than we would otherwise have on this wet day. 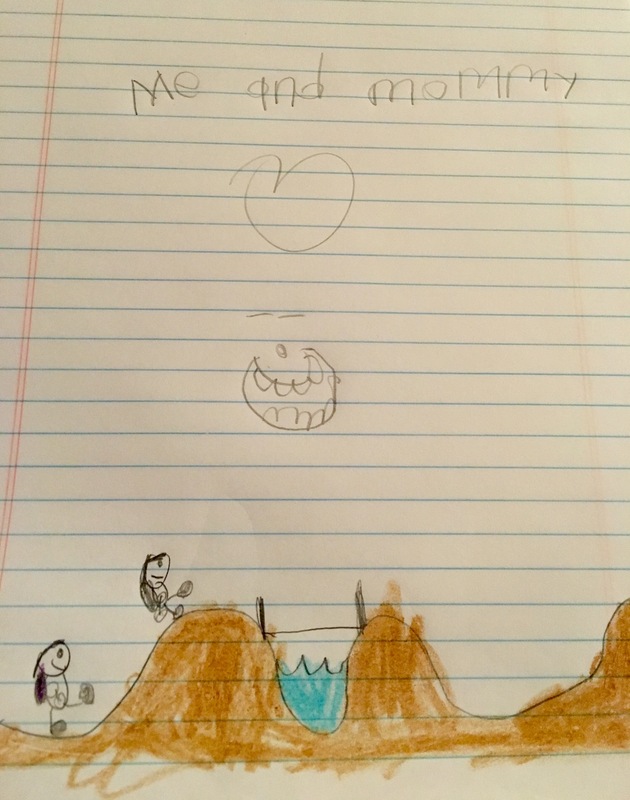 I think she enjoyed this water-filled adventure, since she drew me the cutest depiction of our day once we were home and dry.